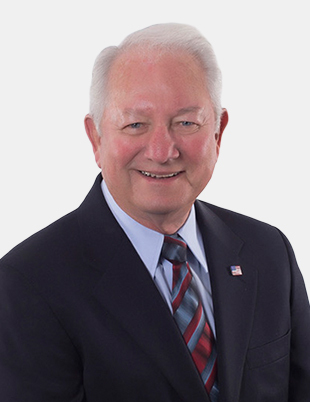 Bob Paty serves as a RAA Financial Consultant. He joined Pritchard, Herr and Associates in 1993 as an Investment Advisor Representative. Bob was appointed as the Central Regional Marketing Representative in 1996 and became the Eastern Regional Marketing Representative in 1998. In addition to being a pilot in the Navy, he worked in many administrative positions, including Commanding Officer of a P3 Patrol Squadron. He worked for and with American Airlines pilots for 17 years through the Allied Pilots Association as a Domicile Representative, member of the APA Board of Directors, and served on various committees. As APA Secretary Treasurer, he served as a member of the Pension Committee meeting quarterly for three years with AMR Investment Officers and the 10 to 13 money managers managing the Variable Benefit Plan and the Defined Benefit Plan. Bob joined the U.S. Navy in 1956 ,retiring with the rank of Captain in the Naval Reserves in 1983. In addition to being a Navy pilot, he worked in many administrative positions, including Commanding Officer of a P3 Patrol Squadron. Bob joined American Airlines in 1967 and retired in 1995 as an International Captain on the B-767 out of JFK. During his 28 years at American Airlines, he worked as a check airman on the Electra, B-727, and MD-80. In 1988, he completed the Pensions Administration Course at the Wharton School of Finance. Bob attended the University of Texas in Austin, Texas majoring in Business Administration.